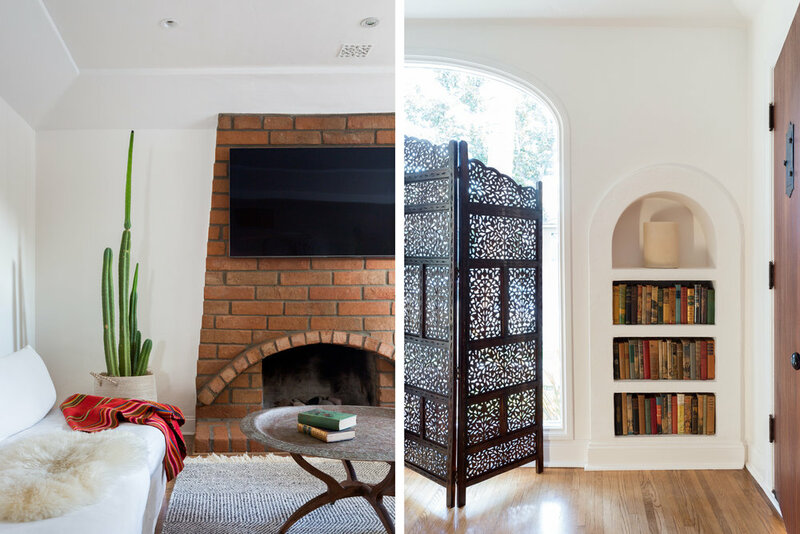 Long Beach has many hidden architectural gems and this sweet Mediterranean home is a great example. This small space is welcoming and full of charm, and our goal was to maximize the feeling of space in each room by limiting materials and color palette. 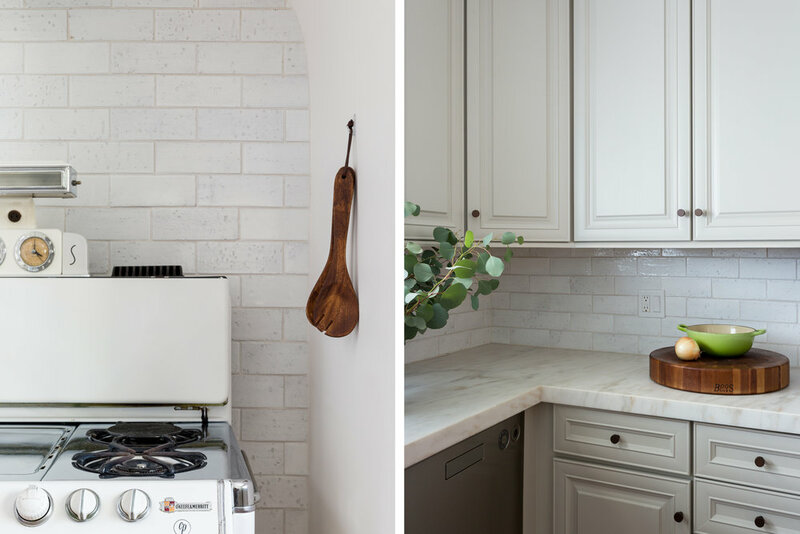 Taking inspiration from the beautiful Spanish exterior, we brightened up the kitchen by painting the original cabinets and adding new countertops and backsplash. 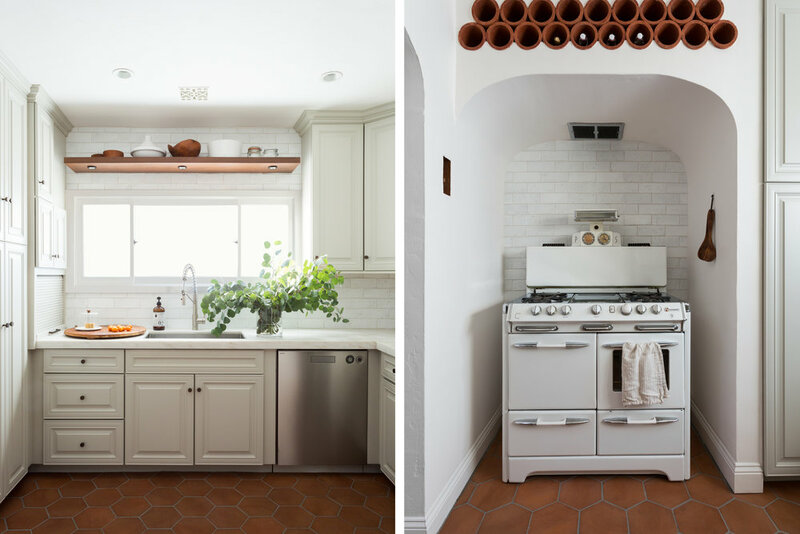 The Saltillo tile floor was added to keep with the Spanish vibe. One of the larger closets was turned into an extra bathroom allowing for a small master suite. Both bathrooms were designed to feel very spa-like, with plaster walls and walnut open shelves. The Saltillo tiles were picked up again in these spaces with a different pattern for continuity without repetition.